This session is for all warriors age 7 and up, their caregivers and siblings. Come hang out with us and learn how to use journaling as an outlet in dealing with the emotional stress of CRMO and other rare diseases. 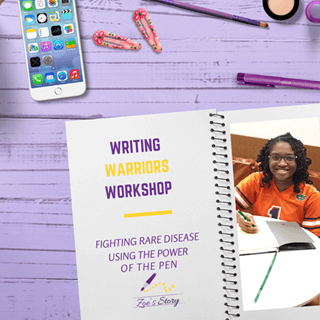 Register here >> https://zoestory.org/writing-warriors-workshop or click on the “events website” link above.